Mosaic Whispers is the oldest co-ed a cappella group at Washington University in St. Louis and has been bringing innovative co-ed a cappella to the St. Louis area since its founding in 1991. 2008 marks the 17th Anniversary of Mosaic Whispers, and in those fifteen years since Whispers formed, 89 unique individuals have been dubbed “Whispers." Over the last few years, Whispers has gained national recognition with appearances on five national a cappella compilations, including Voices Only 2007, CAMO's (Collegiate A Cappella Music Assosciation) Top Shelf A Cappella: Volume 1 in 2005, BOCA 2002 (Best of College A Cappella), Voices Only 2005, and the CARA Awards Compilation 2002 (Contempory A Cappella Recording Association), Mosaic Whispers also has made a name at the ICCA (International Championship of Collegiate A Cappella), where the group advanced to the Regional Level last year for the third time. In October 2004, with Washington University hosting the Second Presidential Debate, Whispers was also honored to perform on two live broadcasts of MSNBCs Hardball with Chris Matthews for a national audience of millions. 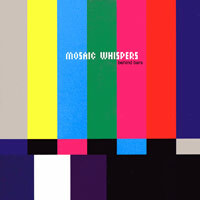 In addition to their live performances, Mosaic Whispers has produced seven studio albums to date, including a 10th Anniversary Album Vested Interest and the award-winning Against the Grain. Behind Bars, the group's newest album, was just released in March 2007! The group performs regularly on campus and around St. Louis throughout the year and also tours extensively. 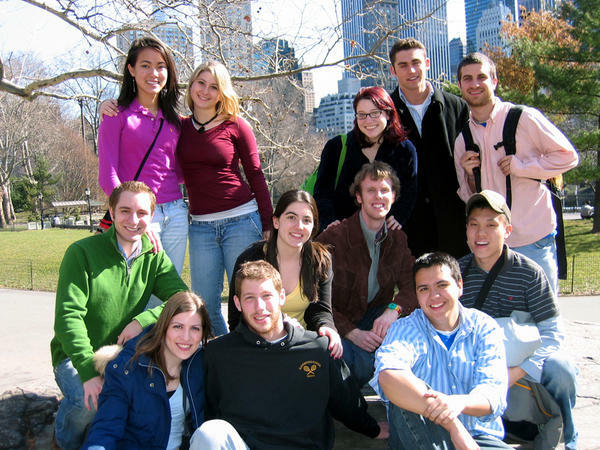 Most recently the group has traveled to Springfield, IL, Philadelphia, PA, Texas, Grand Rapids, MI, Washington, DC, Memphis, TN, Denver, CO, Madison, WI, Los Angeles, CA, Chicago, IL, and New York, NY, representing Washington University and performing for audiences of all ages. Spanning 4 years of Mosaic Whispers, including the Washington University in St. Louis group's 15th anniversary in 2006, "Behind Bars" features a variety of songs selected from the extensive repertoire performed during that period by the '03-'04, '04-'05, '05-'06 and '06-'07 permutations of the group--basically a 12-song "best-of" CD. Dido's "Hunter," Intepol's "Obstacle 1," Bjork's "Bachelorette," Jefferson Airplane's anthem "White Rabbit," The Dixie Chicks' "Landslide," Lennon/McCartney's gritty "Eleanor Rigby," Gavin DeGraw's "Meaning," Stacie Orrico's "Stuck" and Coldplay's "Fix You" are some of our favorites, but there are really no weak cuts. From previous excellent CDs we became fans of Mosaic Whispers, liking their energy, rich sound, song selection and cutting-edge arrangements. Listening to "Behind Bars" only makes us bigger fans! Mosaic Whispers is a 16-strong co-ed a cappella group at Washington University in St. Louis, founded in 1991. They have produced 5 critically acclaimed CDs since then, including the award-winning "Against the Grain." 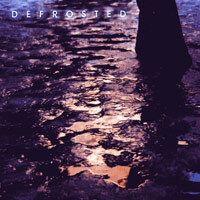 "Defrosted" has 10 tunes, favorites are Shakira's "Whenever, Wherever" Joni Mitchell's "Big Yellow Taxi," Collective Soul's "Run," "Every Little Thing She Does is Magic" by the Police, Indigo Girls' "Ghost," Bonnie Tyle's "Holding Out for a Hero," Mariah Carey's "One Sweet Day" and the final cut, Weezer's "Only in Dreams." Mosaic Whispers has a high-energy, sumptuous sound that lends itself well to their dynamic live performances, and we get to hear several different excellent singers performing leads. "Defrosted" is a stone Collegiate winner!